Winners will be announced on Wednesday, January 4th. Some films that are made seem to be begging for more, in other incarnations of this topic people have tended to focus more on the tie-in and merchandising potential and less on story. In this list you will see five films I think were just begging to be continued, expanded upon and elaborated more greatly. What are some of your favorites? Why this film received such a cold shoulder and is largely overlooked is beyond me. The Kids in the Hall probably could’ve made a slew of films with a colon and their troupe’s effort following it in the title. They could’ve become the 90s incarnation of Monty Python. This film is hugely overlooked and vastly underrated. The franchise here is not the Brain Candy concept but rather the troupe’s brand of comedy transposed onto the big screen. 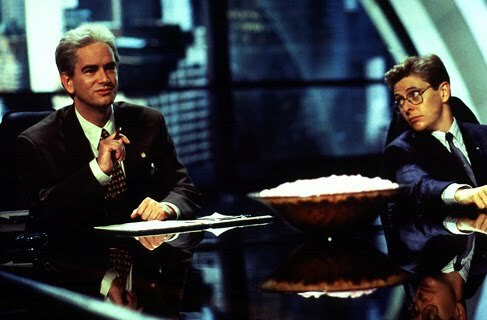 Perhaps in the economically affluent, blasé, Generation X 90s a droll, snide stab at pharmaceutical companies and anti-depressants was not the way to go but it is hilarious. If you haven’t yet checked out their one and only feature length film to date please do. They still do shows and have appearances in Canada and each member does individual projects but perhaps the harsher times will reawaken the need for KITH as a unit. While many do like it and it’s fine by me but not great, Explorers seems like the kind of film that would be better after a second installment when characters are already established and you can go deeper. 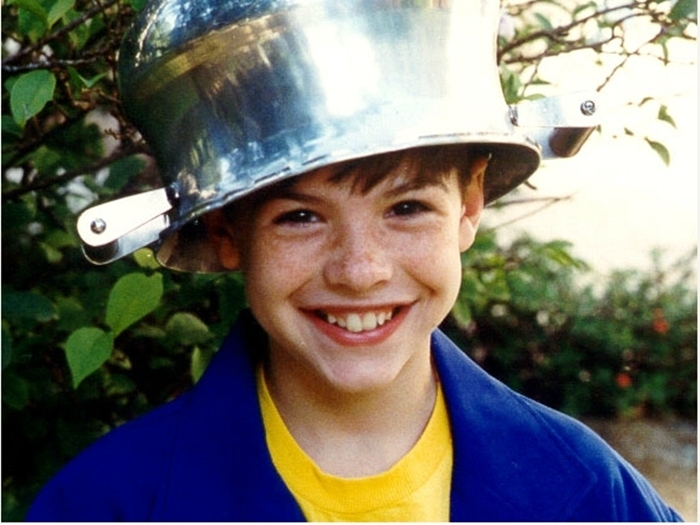 Kids who design and build their own space craft and use it to travel to outer space; if this concept was developed today it’s an absolute certainty that it would be intended to be a series. 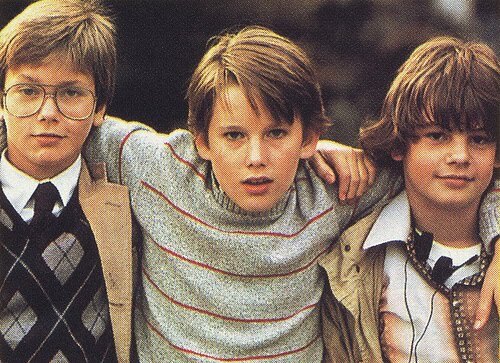 Keep in mind that the original starred both Ethan Hawke and River Phoenix before they really hit it big with any project so it could definitely been continued as a star-vehicle and could be one anew. It’s just a wonder they haven’t tried again…yet. Again I think era might’ve had something to do with this concept not being followed up. 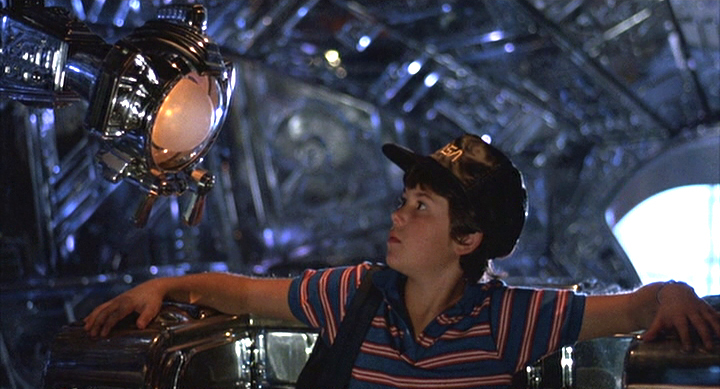 If Disney was making Flight of the Navigator today and made a cent of profit it certainly would become a series. I just think here the film opens up a whole can of worms that could be revisited, not that it necessarily should. In the film David played by Joey Cramer travels through space and thus time and comes back still looking twelve eight years later. There are just so many possibilities other complications this could cause and other planets to visit. This film may soon be off the list as a remake is in development and has been for some time. OK, allow me to explain this selection. It’s basically a tie because one would be a film and the other could be a film following a mini-series and the mini-series, lost art form as that is, is kind of in a no man’s land in terms of film. The first King property I’m surprised never turned into a series was Silver Bullet. It is without question one of the most accurate and best interpretations of a King book put on screen. Due in no small part to the fact that King wrote the script himself. It’s like Cycle of the Werewolf was plastered on celluloid. It’s great and considering some of the other werewolf films that were popular in the 80s it’s even more surprising. The possibility of a follow up to that tale is definitely a tantalizing idea to think about but King doesn’t have it on his docket. The second would be a sequel of some kind to Storm of the Century, King’s first mini-series. Without giving anything away for those who haven’t seen it the ending is not open but rife with possibilities and considering that Linoge is one of his best villains, on par with Randal Flagg, and to see power transition from him to his protégé would be something. One of Lucio Fulci’s best works and one that screamed to be continued more so than any of the Zombie films which are terribly overrated. The House by the Cemetery features a great villain a cruel, twisted doctor who is undead, practically immortal and of course can’t really be defeated not that much resistance has been put up against him. 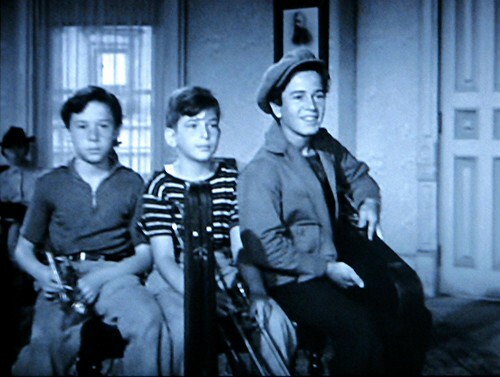 The ending of the film is open and you really are left to wonder what happens with Bob next. If an American had made it with better known actors it likely would’ve been a series one that would’ve gotten ridiculously long after a time but might’ve been enjoyable still reminiscent of the original Halloween cycle. While I am no proponent of the rebooting trend there comes a point where screaming protestations does become tiresome, when even the biggest purist has to sit back and say “You know what? If this is the trend it may as well serve some kind of a purpose.” To that end here is a list of 10 film series that should be rebooted for one reason or another. 10. Dr. Doolittle – This is another example Eddie Murphy’s sad decline ruining an altogether fine film concept. The Doctor Doolittle books by Hugh Lofting are magical and if adapted at the very least faithfully if not slavishly could certainly still be a huge hit and there is no reason it can’t start up again. 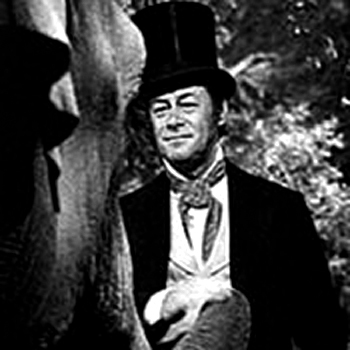 Considering that the original 1967 rendition with Rex Harrison is mostly an afterthought it’s about time the series as written was done properly – installment by installment if possible. 9. 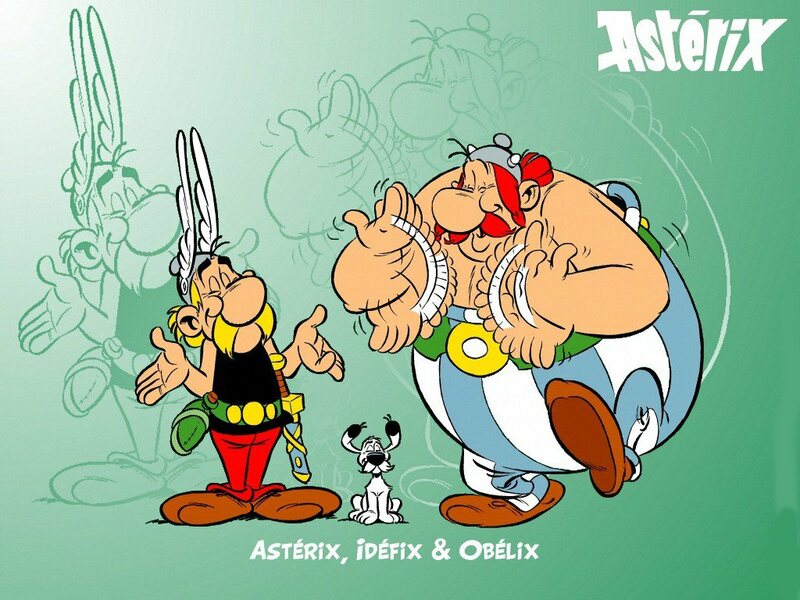 Asterix et Obelix – One of two foreign entries on this list. While there are animated versions of this popular comic available ad nauseum there are only two live action films and one can clearly see why. 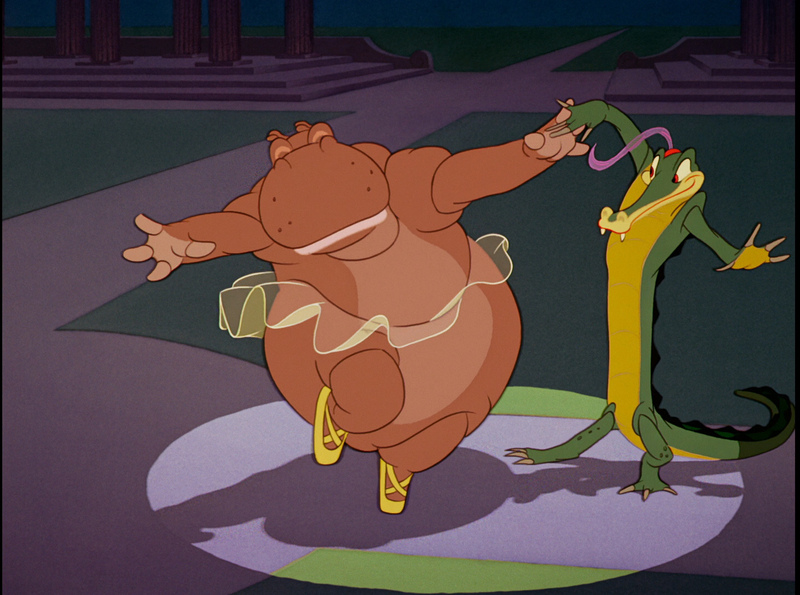 The story came across as stale and lacking in whimsy. Gerard Depardieu who was one of the leading men in cinema once upon a time comes across as a charmless, fat oaf and not Obelix. The cast and director should be scrapped. It can be done in France or anywhere for that matter as long as it lives up to the magic these stories that travel through history are capable of and with that theme story possibilities are endless since the source material already provides many of them. 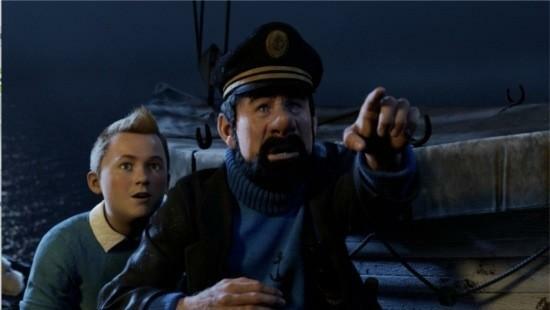 In light of the worldwide box-office success and aesthetic triumph of Tintin motion capture would be a wonderful place for this series to go. 8. 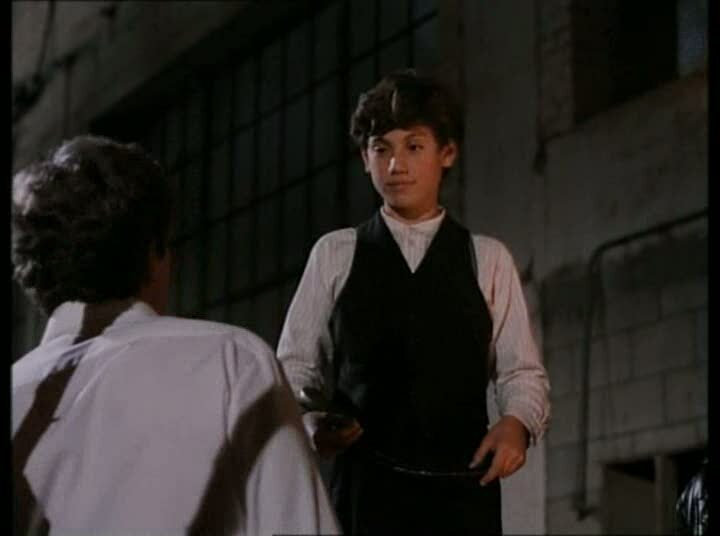 Children of the Corn – This is a series that has had a remake of the original. Now as it stands the original is fantastic. It is a quintessential 80s horror film and overall one of the better ones ever made simply due to its overall impact. Having said that the series of sequels that followed soon thereafter have watered down and bastardized the brand and the drop in quality from the original to the sequels is one of the most precipitous of any horror franchise ever (with few exceptions). For that reason I have placed the franchise on the list and it will be with a bit of curiosity that I will attend the remake to see if the franchise can be revitalized. 7. 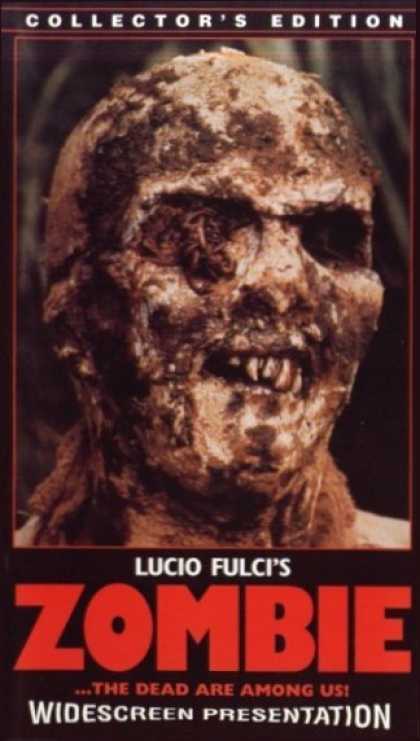 Zombie – These are perhaps the films that Lucio Fulci, Italian giallo director, is best known for and it’s a mystery why. Slow-moving, sunlit and un-suspenseful when compared to Fulci’s best works. The occasional grossly unsettling make-up job is not enough to save any of the set-ups. These are a prime candidate for a relaunch. The island can be shot at night, or it could simply not be set on an island. Zombie films are all the rage for the time being find some other way to turn the genre on its ear under the zombie brand and it is sure to be a hit. 6. 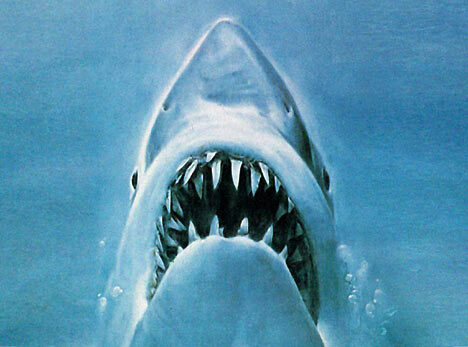 Jaws – Yes, Jaws is an absolute classic and should not be touched. There are reasons why the series is on the list. The series as a whole is very bad. Nothing that happened after Spielberg is any good and Hollywood has proven time and time again that absolutely nothing is sacred, not even Spielberg. A Poltergeist remake is in the works. So, theoretically, yes the Jaws series does belong here. 5. O Menino Maluquinho – This is the second foreign selection on this list and it is the film adaptation of the best-selling children’s book by Brazilian illustrator/author Ziraldo. The first film was absolutely wonderful and while not a literal adaptation it was most definitely one in spirit, which is the most important thing. There was a sequel which was good but not as good as the original as the cast was a little too old at this point to be believable in the story. However, with the character still popular in a daily comic strip it is easily a candidate for reboot. 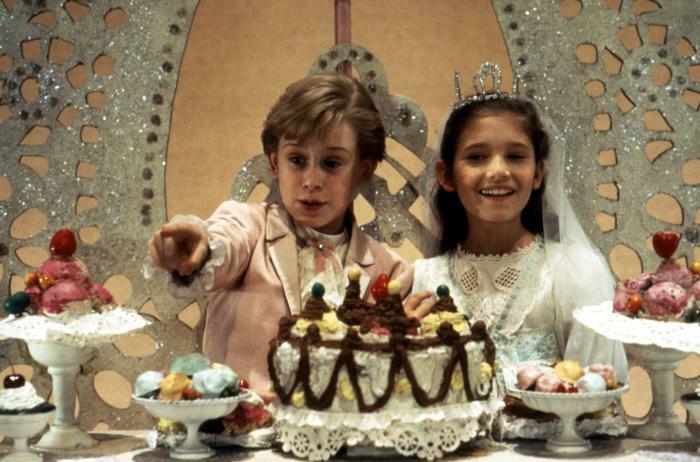 Brazilian audiences, especially younger ones are used to long series like Os Trapalhoes, and it would work perfectly if the kids were recast every few installments similar to the James Bond franchise. 4. 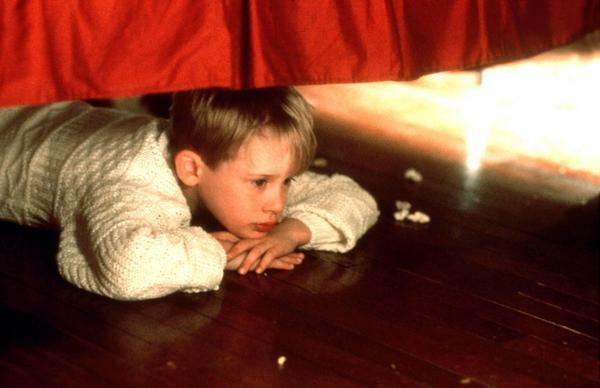 Home Alone – This is another example of a series where it was the sequels failing the concept more so than the original. This is also one of those series where it’s one of the least necessary reboots but it’s the kind that makes you wonder why it hasn’t happened already, especially considering that it’s a John Hughes project Anyway, the second was regurgitation, the third was decent but weird in as much as it was just a continuation of the situation not characters or plot and the fourth was just painful. 3. 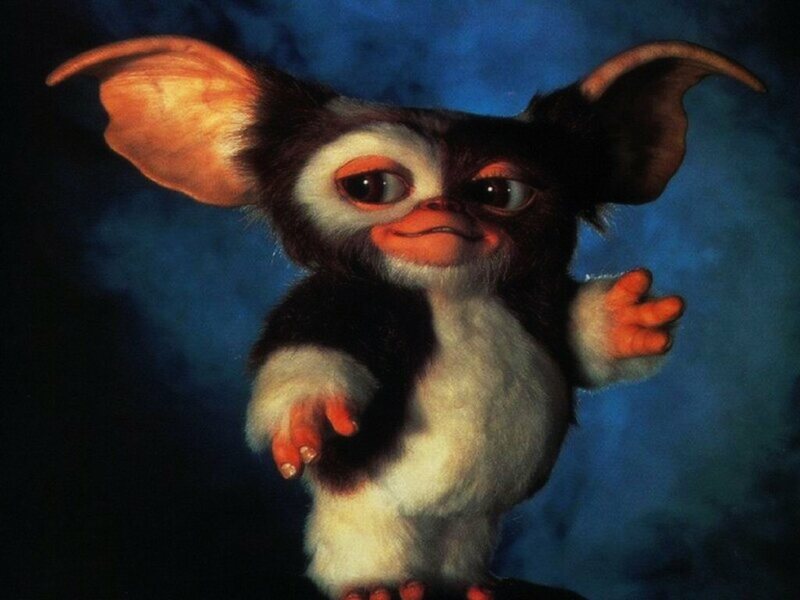 Gremlins – Yes, the first only was classic but they kind of dropped the ball. The sequel, though enjoyable, seemed like an afterthought and the time between the original and the follow-up could’ve contributed to its lack of success. It’s an idea that’s endlessly appealing and one of the best combinations of horror and comedy around while the film is an 80s classic there is no performance that’s irreplaceable so it’s surprising that studio executives haven’t jumped at the opportunity to jump-start this one. 2. 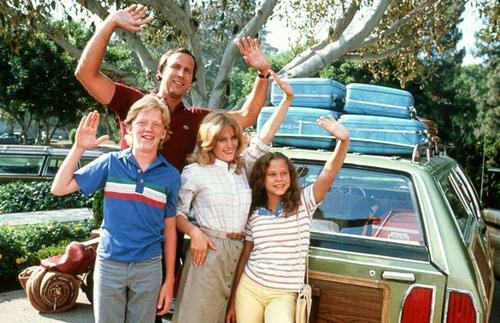 National Lampoon’s Vacation – The Vacation films weren’t ever really designed to end. They’re all so great each one more memorable than the last and just silly. I think it’s a series that could easily come back into play by just having Rusty or Audrey go on a trip with their kids and have Grandpa and Grandma (Chevy Chase and Beverly D’Angelo) along for the ride (Seriously, what else are they doing? And they should be doing something). With the last film being in 1989 there is so much socially and about the world that can be mocked, parodied or lampooned that wasn’t even in the public consciousness back then that it’s about time. People still laugh at the old ones and they would laugh at new ones too. 1. The Naked Gun – Yes, the 3rd film was called The Final Insult but those kinds of titles have been contradicted before. 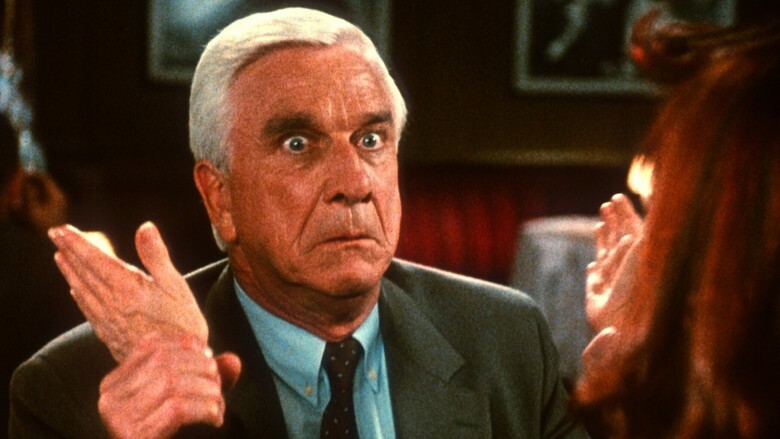 I think along with a new James Bond we should have new Frank Drebin pictures. This can be done in one of two ways one the old pulling the investigator out of retirement against his will ploy can be implemented or he could be unwillingly training his replacement. Either way good parody is a necessity and his were second to none and he should be leading, not making appearances in second rate attempts so the parents in the audience can have a good laugh. Ideally, I’d have loved the late great Leslie Nielsen to have been involved but the fact of the matter remains that the parody film is fast becoming a lost art of the comedy genre and perhaps a classic vehicle is needed to revive it with the right people in place. It happens far too often that I leave a movie theatre and am left shaking my head not at the film I just saw but rather at the chatter that I can overhear walking out of the auditorium. All too often I hear confusion at a rather simple film or mental constipation due to the fact that the film as somewhat more artistically rendered and opaque than the run-of-the-mill fare which makes up the bulk of our cinematic diet. The example I’m about to cite is not meant to smack of regional elitism but rather to illustrate that all too often now little of what once drew us out to the movies is still what appeals to us about it. It seems to be more out of habit than for the aesthetic pleasure and a communal activity. The tale is relatively simple: I was visiting an old friend in New York and amongst the activities we decided to engage in was to go to one Manhattan’s many theatres and see something we couldn’t find anywhere else. We exchanged a brief and cordial discourse about it. The gentleman asking and his screening partner differed in opinion. I allowed that I could see that specifically due to one of the casting decisions of a younger version of a character (what I didn’t mention was an unusual family structure within the narrative) but I told him I did like it. 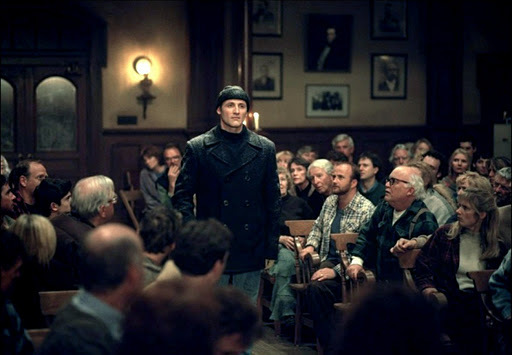 I’m not saying that every screening should be like a post-screening bull session in film school or that all layouts be art house in nature with a cafe where you can sit down and debate the finer points of the narrative, however, a quick exchange wherein you say “Yeah, I did like it. I can see where you might have issues…” should not be so much of a shock. I recently stated that that’s what I like about Twitter, you can go there and have a group of followers who have have seen that film and have their own insights into it. It’s a minor but not insignificant part of the moviegoing culture that ought not be ignored: there should be more stimulating conversation on the way out of an auditorium rather than inadvertent eavesdropping and muffled sighs. I am all for taking the time to absorb a film, any film at all, however, some of them present questions and quandaries that should be discussed in a more open way and post-screening discourse should not be so endangered.